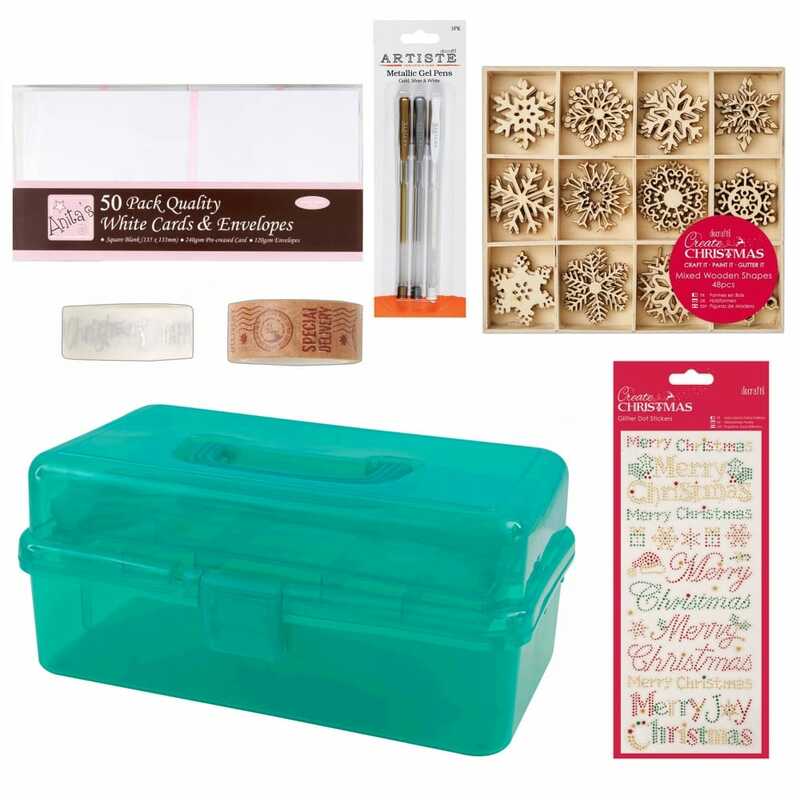 Contains wooden snowflakes, 25 cards and envelopes, Christmas stickers, white gold and silver gel pens and Christmas tape! Perfect kit to get started on your Christmas crafting! Anita's 50 pack of cards is an Essential Craft item and great for creating cards in bulk. Perfect cards ready to decorate that celebration card of all occasions, birthdays, invites and more. Papermania’s Create Christmas returns ready for the festive season and bursting with all your yuletide crafting essentials. This Large Mixed Wooden Shapes pack contains 48 pieces in 12 different snowflake designs. Perfect for any paper crafting or even some homey decoration making in the winter period.